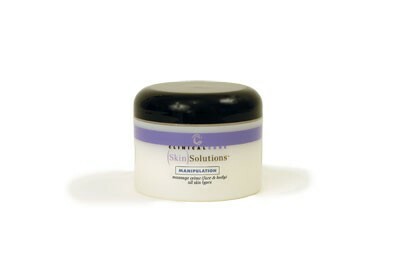 Clinical Care Skin Solutions Manipulation is massage creme (face & body) for all skin types. This extremely long lasting Lavender massage creme is infused with rich Chamomile and Matricaria extracts for purifying, soothing, and relaxing. Clinical Care Skin Solutions Manipulation is massage creme (face & body) for all skin types. This extremely long lasting Lavender massage creme is infused with rich Chamomile and Matricaria extracts for purifying, soothing, and relaxing.